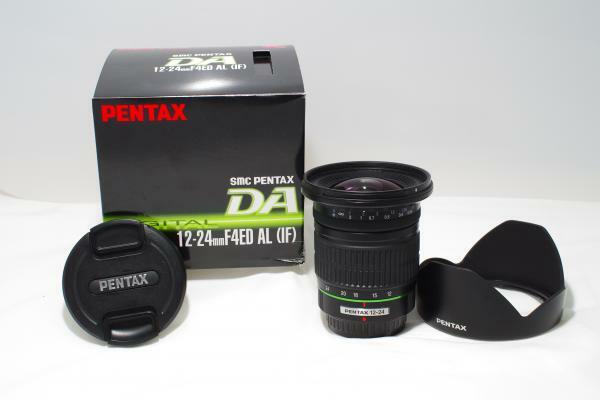 The Pentax package includes the Pentax DA 12-24mm f/4, a tulip shaped PH-RBI 77mm bayonet lens hood, as well as a front and rear cap. What is missing is a carrying pouch; the Pentax S100-120 case is an optional accessory and can be purchased separately. The rationale behind this decision is not entirely clear, but if you need or want a lens pouch you will have to purchase one separately. The lens, in the box, was wrapped in bubble wrap and tissue. The package also includes a user manual and warranty papers. 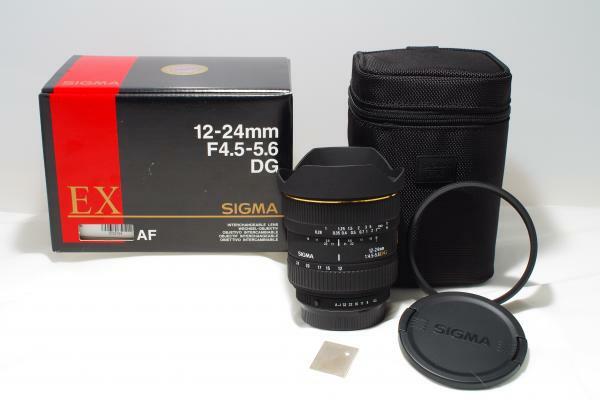 The Sigma package includes the Sigma DG 12-24 f/4.5-5.6, a nylon lens pouch, guide plate, an adaptor ring, as well as a front and rear cap. The Sigma has a permanently attached tulip shaped lens hood which the adaptor ring slides over and the front lens cap clips onto. Because the lens hood is permanently attached the front lens cap cannot be used without the adaptor ring. The lens will not accept front mounted filters and is designed to use rear mounted gelatin type filters. The filters can be cut to size by using the included guide plate as a pattern. The package also includes a user instruction sheet in ten different languages and a warranty card. 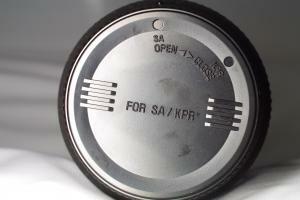 The rear lens cap is designed to be installed in only one position which is clearly marked. The Pentax rear lens cap on the other hand can be installed in any position. 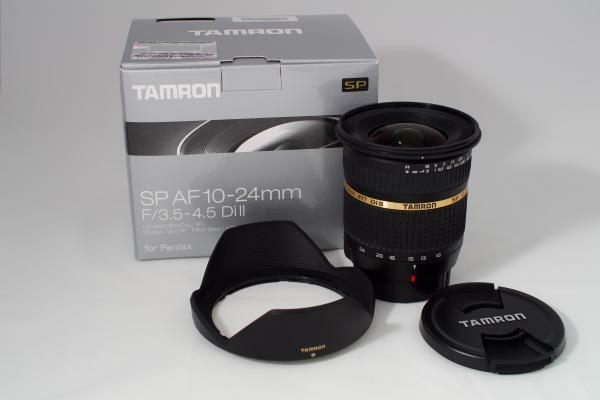 The Tamron package includes the Tamron SP AF 10-24mm f/3.5-4.5 DI II, a tulip shaped bayonet lens hood, as well as a front and rear cap. 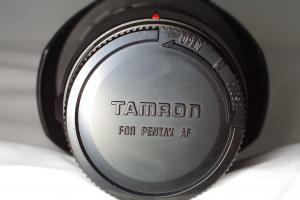 The Tamron, like the Pentax, does not include a lens pouch. The Tamron rear lens cap, like the Sigma, is designed to be installed in only one position. The Tamron has a better method of indicating the alignment of the rear cap, than the Sigma, which makes it slightly easier to install. 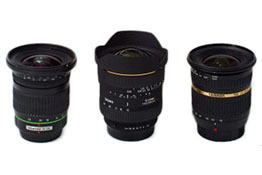 Ready to get your DA 12-24mm or Sigma and Tamron 10-24mm Comparison? Click below to place an order or check current pricing.